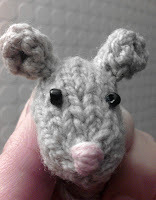 Due to my having been otherwise occupied this week, I thought I would back-track a bit with this post and show you the pics of 'Wee Mouse' from the end of last year. The knitting group I belong to in work is a great help to those of us who are not familiar with the most basic of knitting and crochet terms, giving folk a chance to put questions of those 'in the know' without feeling too self conscious or stupid. 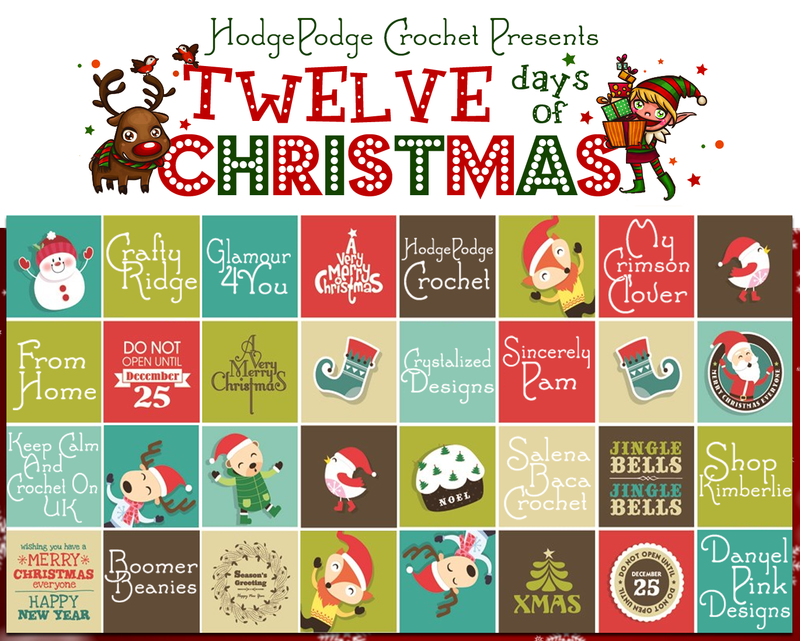 Being more of a crochet person myself, I though it might be a good time to experiment with learning something a little more complicated knitting-wise whilst being able to get some suitable guidance from my colleague Happy Knitter. 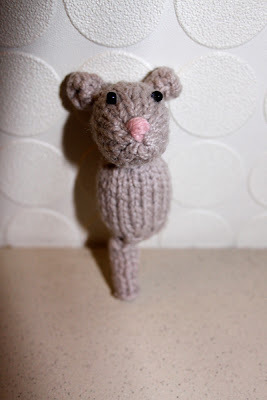 I didn't want to start with a project that was going to take ages so, since 'the group' had recently discussed making knitted animals, I went searching on the internet and found Wee Mouse on Ravelry (a pattern by Raynor Gellatly). 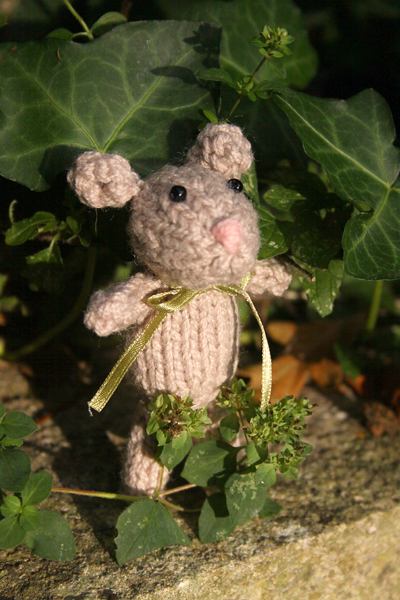 Wee Mouse certainly seemed small enough ....and he was.... but I learned all sorts of things about 'increasing' to make a rounded body and head (an unknown to me!) and knitting an 'I-cord' for the arms and tail (nothing to do with Apple either!). Starting with the head first, the shape came together surprisingly easily, probably due to the good instructions more than anything else, which I did print it out (rather than working with them online) so that I could make notes on the sheet and cross off the rows etc. Eyes and nose were best added before the stuffing so that it was easier to stitch from the inside (although I am sure others who are more adept at this would be fine leaving the details until the end). 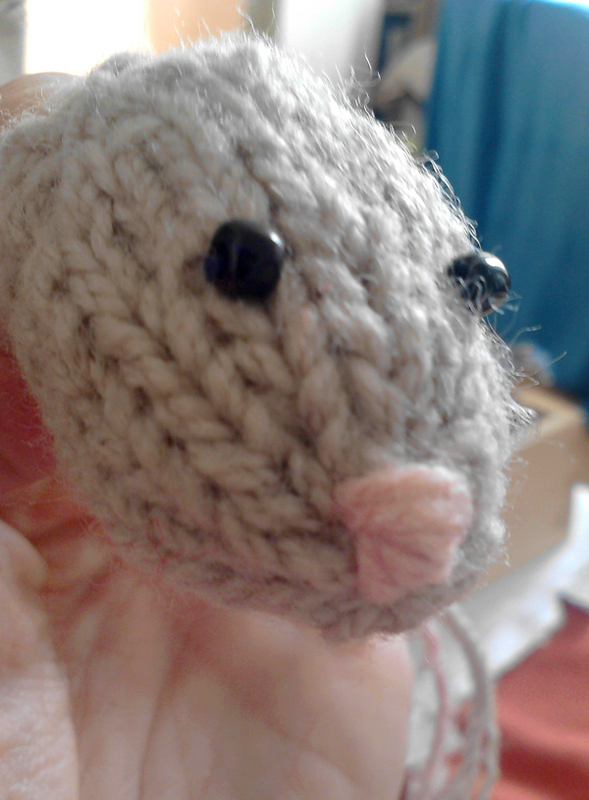 I stitched the nose with pink wool and use small black rocaille beads for the eyes (which would obviously need to be substituted for something safer if the finished item was intended for a child).The ears were quite fiddly and are actually small triangular shapes that fold in on themselves. The body is made in much the same way as the head, and the legs are small squares, rolled and stitched to make a tube. Here is Wee Mouse (looking a little vulnerable under the spotlight) with his first leg - just one more leg, two arms and a tail to go! 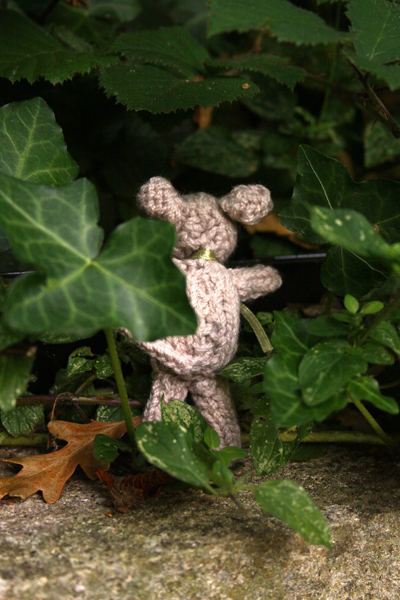 His little arms and tail are I-cords which are made knitting backwards and forwards on double ended needles. 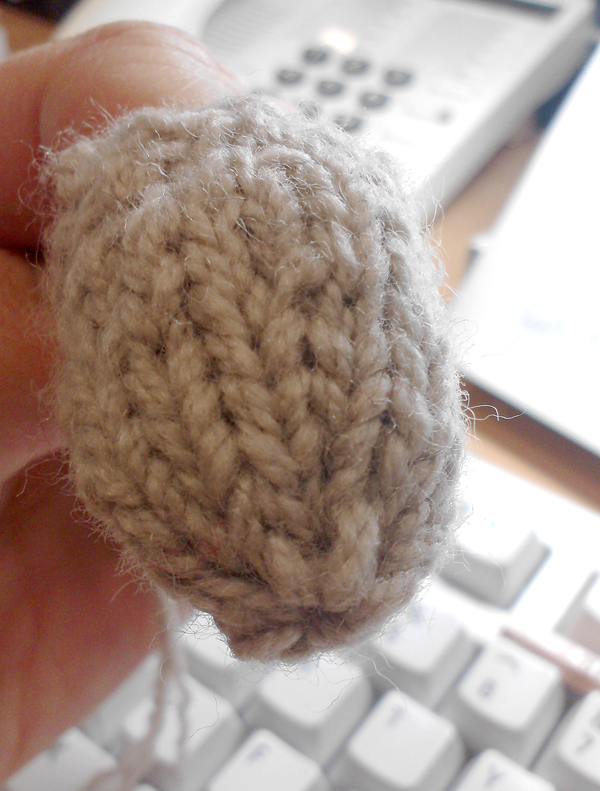 This creates a narrow tube that looks a bit like French knitting and is ideal for something this small. I added a nice little bow as a finishing touch...... and Wee Mouse was complete. 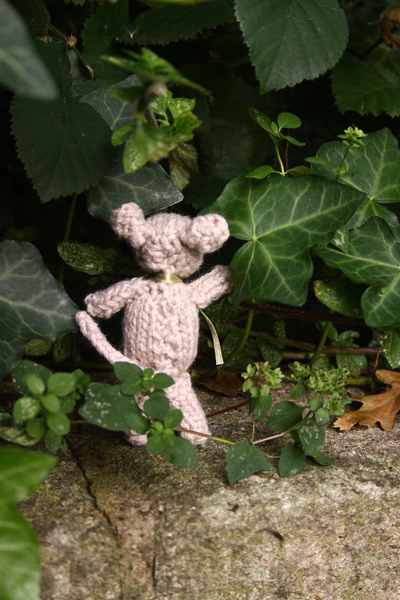 Then he headed out into the garden, down past the herbs and under the ivy, off on his travels and looking for adventure!!!! 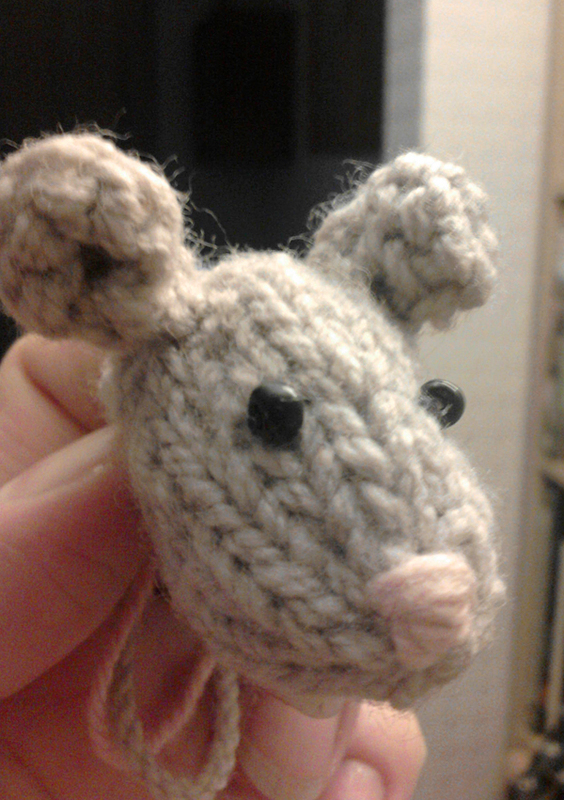 Wee mouse is so sweet! Small projects are great for learning new techniques with. I love the photos of him heading off into the undergrowth! 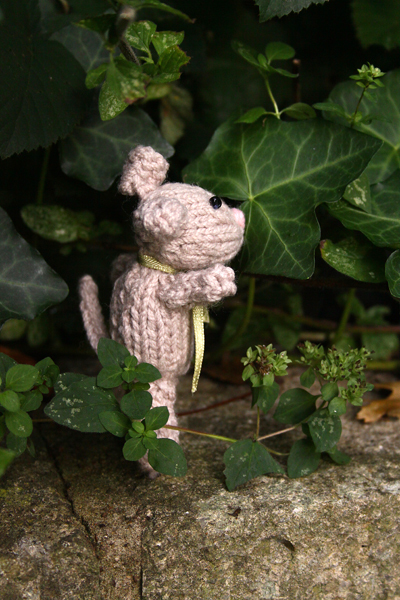 Happy exploring, wee mouse! Don't stay out all night though! I really did learn quite a lot and he was very fiddly but it was certainly worth the effort. It gave me enough confidence to try a bear after that and I will blog about that too when I can get some words together.